Today we are excited to release a new Advanced Search capability for Data Master, giving mParticle users even greater transparency and control over what's flowing through their data pipelines. 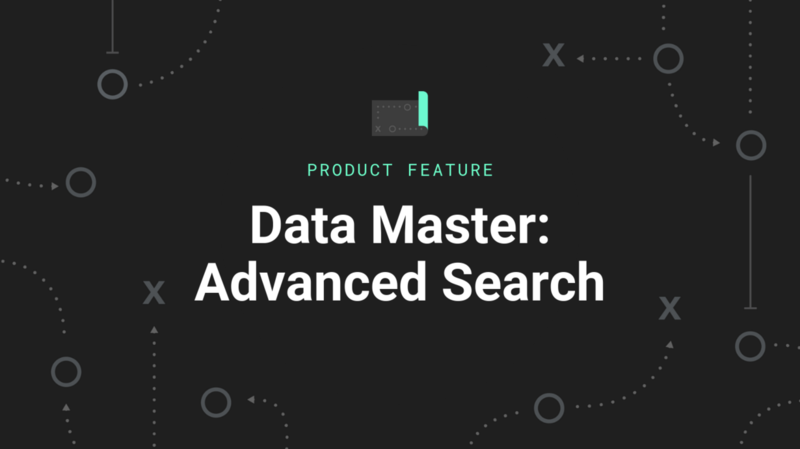 Using Data Master Advanced Search, you can accurately sift through the thousands of data points in your central data catalog in seconds to find exactly what you need to power decision-making across product, analytics, marketing, and engineering. 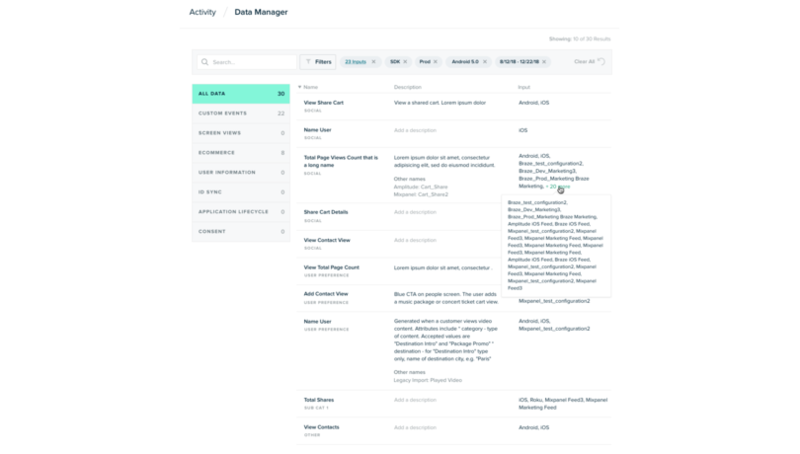 Data Master was designed to provide brands with the flexibility they need to tag and organize their data in a way that makes it meaningful across their entire company. Until now, users were limited to one parameter search queries in Data Master. While this standard search is helpful in isolating a group of data points, companies with large datasets needed the flexibility to search more granularly. 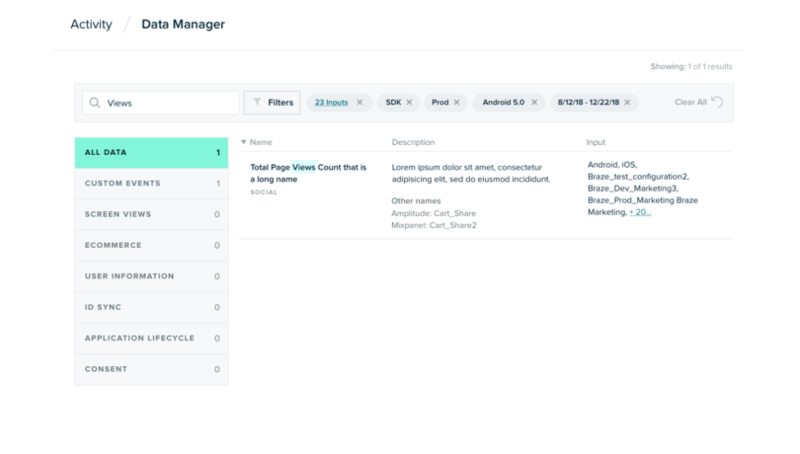 With the Advanced Search update, your search querying can now include multiple parameters and any number of search criteria, like data source, data recency, app versions, and even custom events. By using the Advanced Search’s capabilities, you can narrow the scope of your search easily to expose only the most relevant results. With the flexibility to filter by as many criteria as necessary, you can even narrow down the scope enough to give you a singular result from the thousands of data points in your data set. Using Advanced Search enables end-users from every team across a company to dig into the data they need faster than ever before. Advanced Search for Data Master is now live in the mParticle platform. If you’d like to learn more about how Data Master and its advanced search capabilities can help you unify your data strategy, validate your data, and empower your organization to make data-driven decisions, feel free to reach out or email your customer success manager to get started! 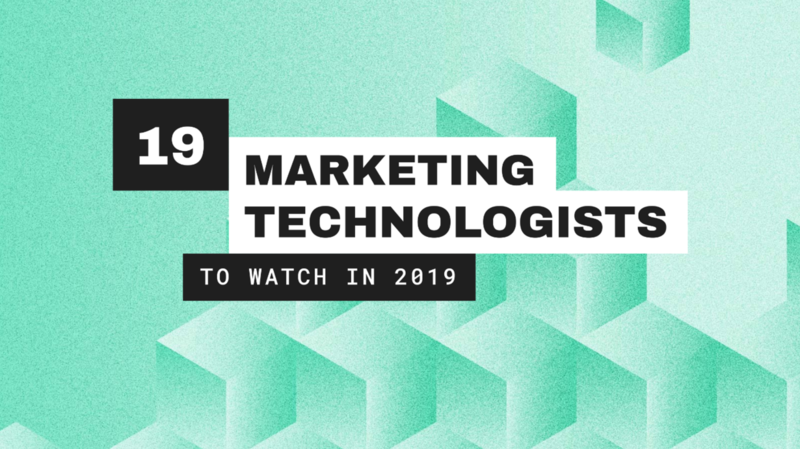 Interested in staying up to date with mParticle and the greater digital marketing ecosystem? Subscribe to our weekly newsletter here. AuthorRashel ShehataRashel is a Product Development Director at mParticle. 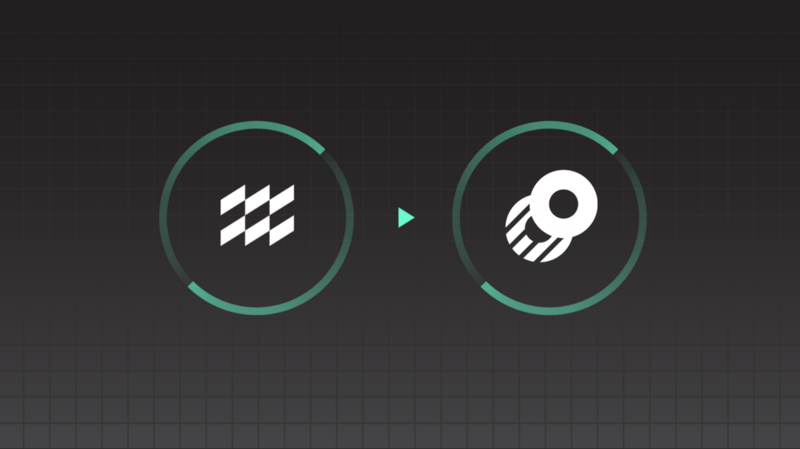 Drill down into your data, fasterTry it! New mParticle initiative empowers tomorrow’s leading brands through the free use of the same APIs utilized by iconic brands, such as Starbucks, Spotify, Airbnb, and others. Personalize on-site and in-app experiences wherever your customers are, in real time with the new Profile API feature. Now in limited beta.